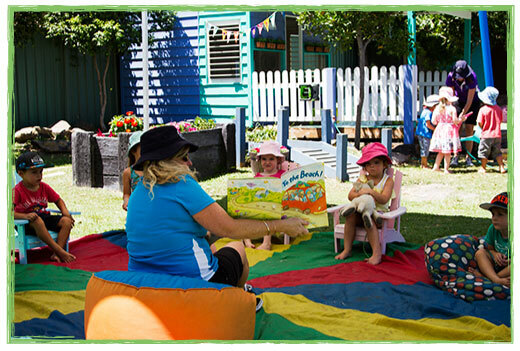 Kids on 4th is a family owned and managed Early Learning Child Care Centre and Kindergarten, located in Palm Beach on the Southern Gold Coast. We have been operating for over 40 years and are very highly regarded in the local community as providers of high quality early childhood education and child care. The current Licensees have owned Kids on 4th for over 17 years and continually strive to improve the centre and maintain its high standing of child care with parents and the local community. The fact that we have a number of families who have had generations of family members attend the centre is testament in itself to our dedication to providing the highest level of quality education and care to our children. We believe that our outstanding team of educators are our greatest asset and we pride ourselves on creating a rewarding and happy workplace for our staff. 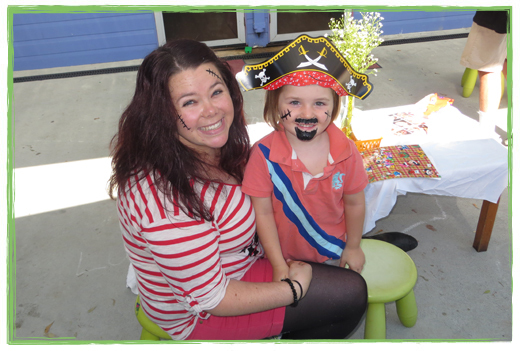 The outcome is a team of child care educators who are passionate, creative, friendly and professional. Educators are encouraged to further their qualifications and are regularly provided with opportunities to attend workshops, in-house training and conferences. Our dedicated educators are carefully chosen and have the required kindergarten and early learning educational background to ensure the highest level of quality education and care. All educators hold a current Working With Children Check and First Aid certificate, including asthma and anaphylaxis training. 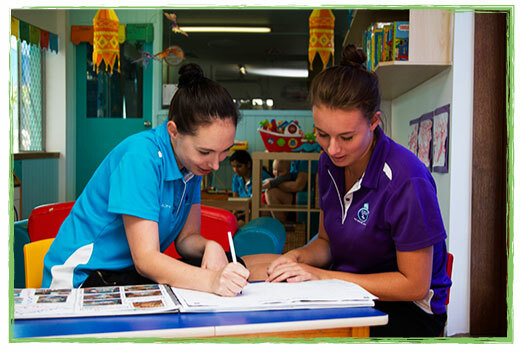 A number of our educators have been with us for over six years, while a few others have recently hit the ten-year milestone, bringing experience, awareness and a personal connection to our child care centre. Our team of passionate educators works together to develop and maintain respectful and responsive relationships with our children and their families, as it is these relationships that provide the building blocks for everything else we do. 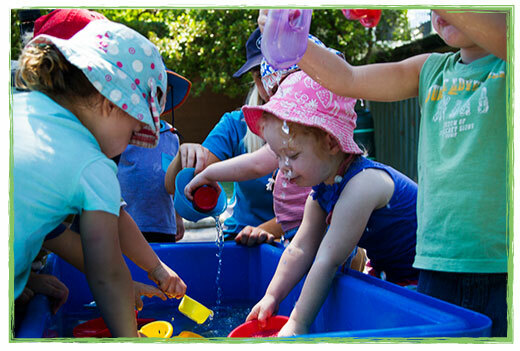 Our fully air-conditioned, well-equipped child care centre at Palm Beach offers stimulating indoor and outdoor learning environments, providing children with opportunities to explore, create, discover and learn through play. We are lucky to have a large playground, which includes a veggie patch, herb garden, cubby house, dry creek bed and water tanks. All age groups are involved in our weekly gardening program, where your child can experience the satisfaction that comes with caring for something over time, while learning about nature. 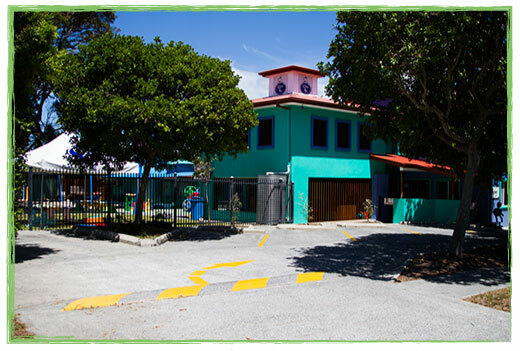 Our recycling program, compost bin and worm farm also encourage environmental awareness and supports sustainability. 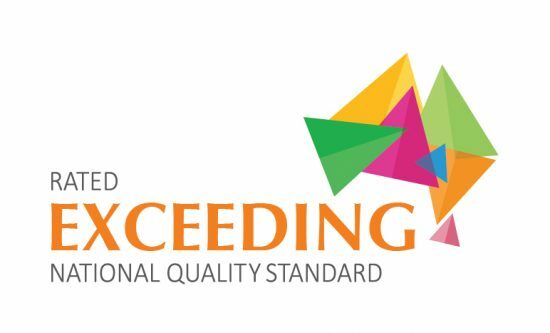 In 2012 and 2017 we were proud to receive the award for Exceeding National Quality Standard, after being independently assessed and rated by the Office for Early Childhood Education and Care. This rating reflects our commitment to maintaining exceptional standards of child care and quality in everything we do. With an emphasis on early learning through play, our program provides an environment for children to explore, investigate, discover and problem-solve, while they play and have fun. Both our indoor and outdoor environments here at Palm Beach include many natural and recycled materials, to inspire children’s imaginations and creativity. We believe in the importance of children being connected with nature and the outdoors, and incorporate these elements into our program. 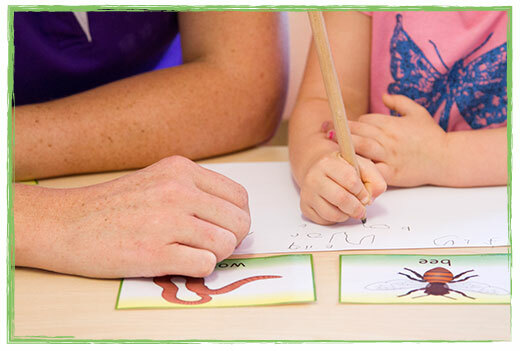 Our government approved Kindergarten program is run by a university trained Early Childhood Teacher and provides the perfect starting point for school. With a focus on school readiness, our Kindergarten program promotes learning through a play-based curriculum, providing children with opportunities to discover, imagine, explore and problem-solve, while engaging in meaningful experiences, routines and transitions. Our Kindergarten Room boasts the inclusion of an electronic SMART board, which is used daily to help teach and reinforce a range of literacy and numeracy concepts. 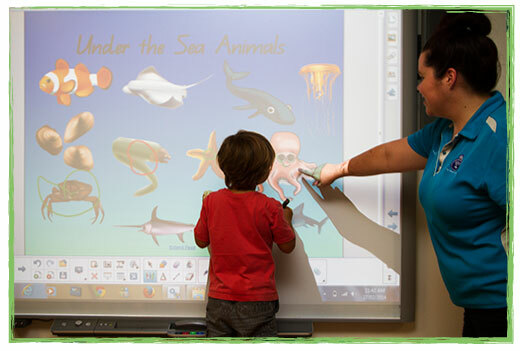 Many Prep classrooms now have SMART boards, as they are a fun and engaging way to help children learn. We love giving our children at Kids on 4th the opportunity to engage in a wide range of activities to foster their interest and learning in new areas. We also believe in inclusion for all our of children. As such, we provide all of our activities, events and regular extracurricular programs to all children at no extra cost to families. Smallsports is our fantastic sports skills program, run by an Early Childhood Health & Physical Education Provider. The SmallSports program run at Kids on 4th is a non-competitive, fun, play and curriculum based and suitable for both boys and girls. The program is designed specifically for teaching 2-to-5-year-olds and introduces your child to all major ball sports. Throughout the year we also have many visiting performers and educational shows at Kids on 4th, all provided at no extra cost. A few examples include Professor Jellybean, Hello Africa, Ocean Life Education, and Wildlife Rangers. There are also visits from our local Fire Brigade and Police Officers, as well as Gold Coast City Council education programs, such as Pat and Play and Wipe Out Waste. We support many charities by being involved in events such as Jeans for Genes Day, Red Nose Day, and The Leukemia Foundation Crazy Hair Day. During the year we also have special events and fun days, such as Father’s Day Arvo Tea, Circus Day, Wet and Wild Day, Family and Community Fun Fair, and our annual Christmas Concert and Kindergarten Graduation evening.